In this episode KIRS In Studio Correspondent Naomi Grey discusses the Shaunie O’Neal Basketball Wives franchise on VH1 and its perception in the media. 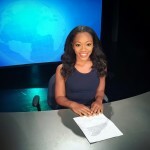 Naomi Grey is a recent graduate from the Brooklyn College Broadcast Journalism program. She has a passion for sports and storytelling. Naomi is currently a writer and host for What's the 411 Sports TV and does work as a sideline reporter for Backpack Broadcasting. She has experience covering professional sports teams, such as, the New York Liberty, New York Knicks and the Brooklyn Nets. When Naomi is away from the sidelines you can catch her cheering on the New York Giants, Oklahoma City Thunder and the Los Angeles Clippers. This coast to coast sports fan was born and raised in Brooklyn, NY. Her ability to write, produce, edit and report has shaped her into a well-rounded journalist with a drive to make the best of what ever comes her way. Khloe Kardashian & Lamar Odom Take on TV? 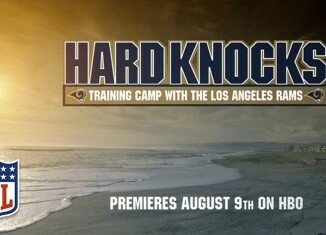 NFL Films' critically acclaimed series "Hard Knocks: Training Camp with the Los Angeles Rams" premieres August 9th on HBO.